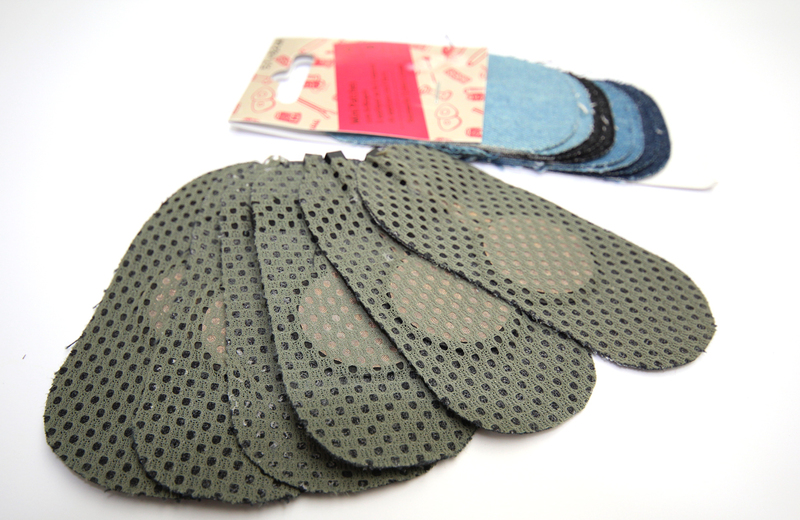 This is the home of zPatch - a sensor design for more robust and versatile textile input. zPatches were presented as a paper at TEI 2018. The above videos use an Arduino Uno, running this code and a zPatch connected to pins A0 and A1 with crocodile clips. A step-by step tutorial on how to build a zPatch can be found on Instructables. We demonstrated the robustness and the ability to detect multiple types of input by recording different gestures and classifying them using Random Forest. We collected 400 measures from ten participants. Of these 400 measures, 300 were noise and the remaining were 5 different input types (Hover, Swipe, Gentle Tap, Strong Tap, Push). 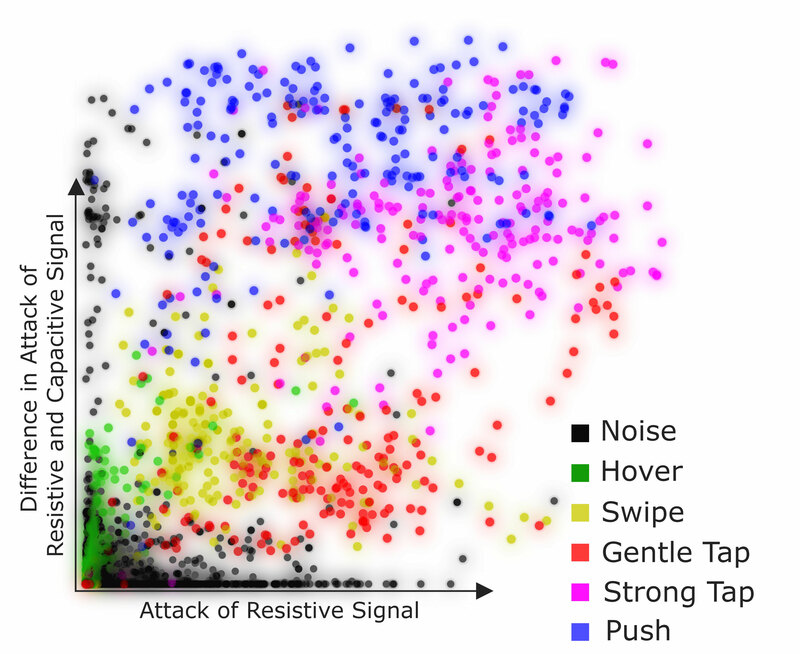 Using only the resistive data, we found ~7 instances of noise classified as an input gesture (M: 7.2, SD: 3.42). The capacitive data performed better (M: 4.5, SD: 2.16) and combining both performed best (M: 3.5, SD: 2.57). Using the combined data, we were able to classify all 6 measure types (Noise + 5 gestures) with a precision and recall of 0.95. E-mail questions or thoughts or ideas or rants to paul dot strohmeier at gmail dot com.